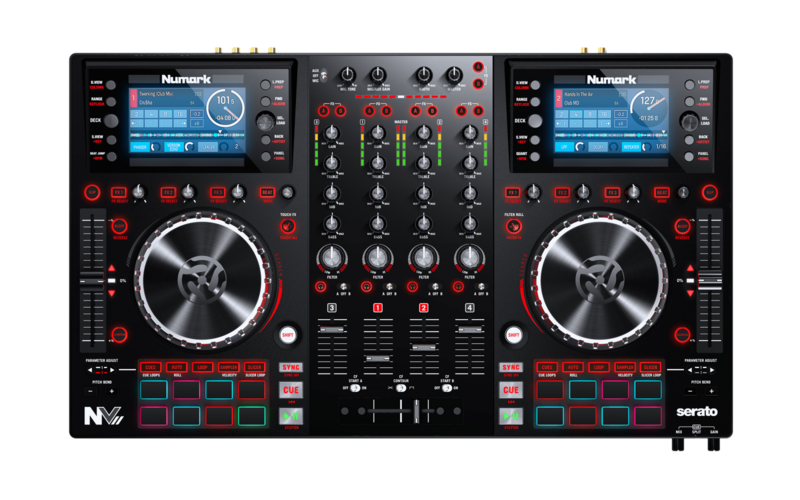 The Numark NVII builds on the success of it's predecessor with an updated design and layout, additional on-screen library sorting options and most importantly: on-screen beat grid view! 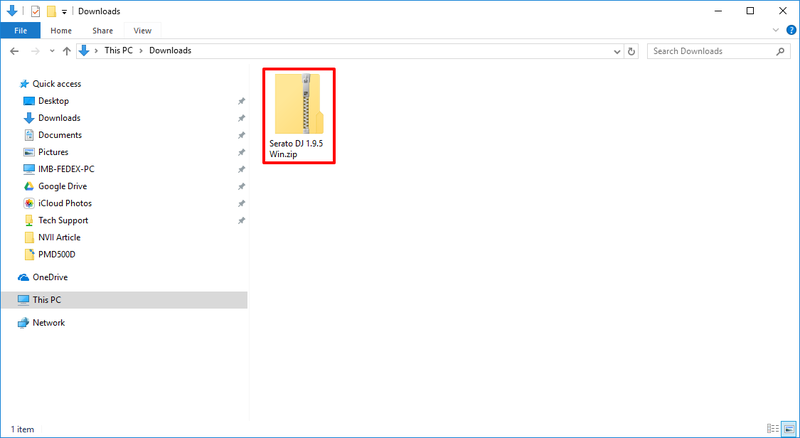 This article walks you through how to get started with your NVII by downloading, installing and connecting with Serato DJ. For Mac users, the NVII is class-compliant for Mac OS X, so no additional drivers will be necessary. Connect your NVII to a free USB port on your computer and power it on to get connected. 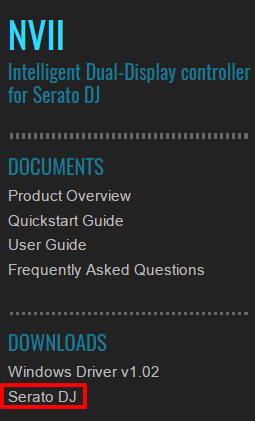 Visit the NVII Product Page and click on the download link for Serato DJ. This will take you to the Serato page. Click on the Download Serato DJ Software button. Enter in your Email address and password. if you don't have one, you will need to create one. This will be your account with Serato. Serato DJ should then begin downloading and will be found in your system's Downloads folder once it's finished. Navigate to your downloads folder to find the installer. Be sure to extract the files before running the installer inside. For Mac users, simply double-click on the folder to unzip it. For PC users, please follow this instructional article if you're not already familiar. Run the installer, accept the agreement and continue following the prompts to install the software. Be sure to check off Create a Desktop Icon when prompted so that you can easily find Serato DJ Intro on your desktop. 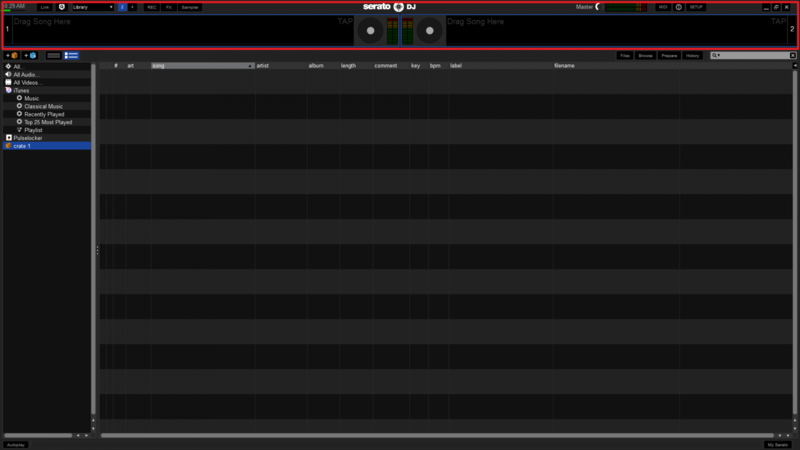 Once finished, click Finish and allow Serato DJ Intro to open automatically. Take the supplied USB cable and connect it to the NVII, then to your computer. If Serato isn't already running, open it by double-clicking the icon on your desktop. Once the NVII is fully recognized by Serato, the user interface will change to display the familiar two-deck setup and the screens on your NVII will jump to show your Serato decks. 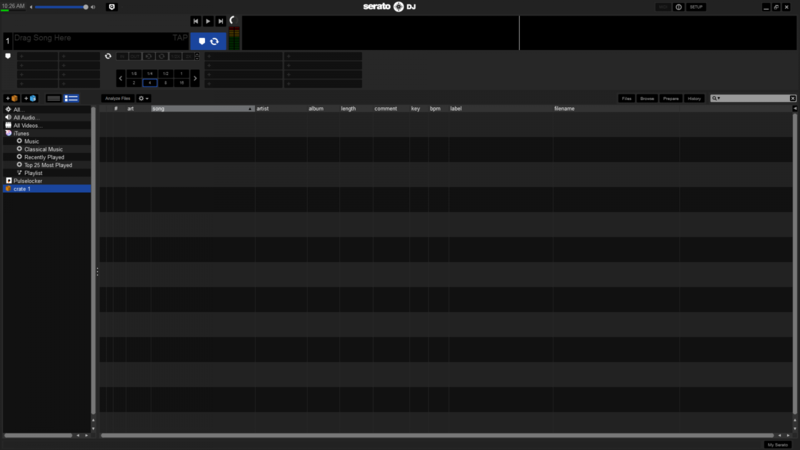 Serato will automatically be assigned to use the audio and headphone outputs on your NVII for all playback. You are fully connected and ready to start using your NVII!